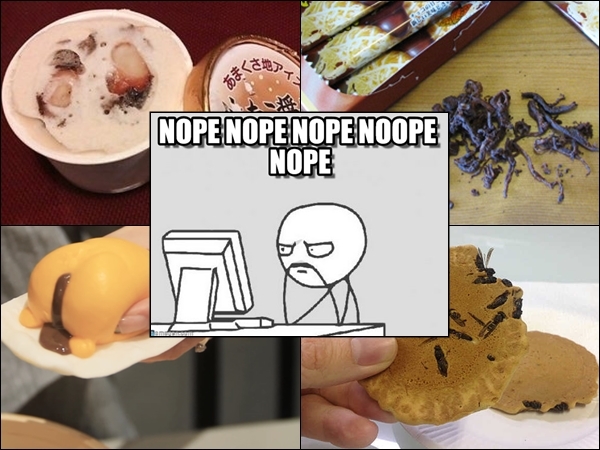 Home / feature / food / fooddrink / foodie / japan / weird / Do you dare to try these odd Asian desserts? 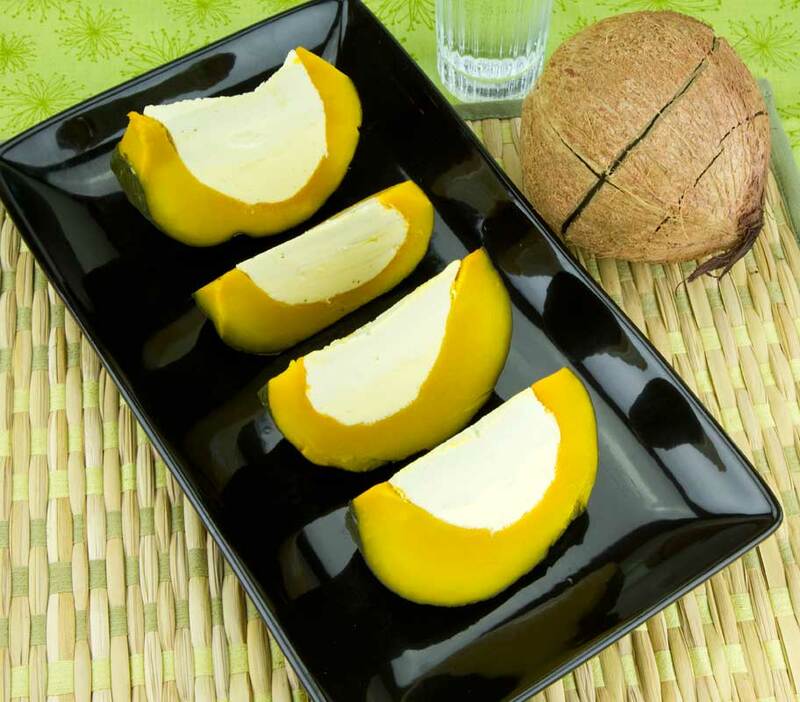 Do you dare to try these odd Asian desserts? 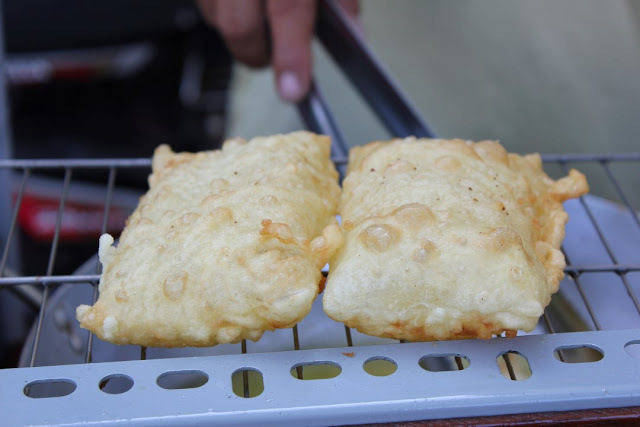 Are you an adventurous foodie? If you aren’t but are thinking of trying out exotic foods, why not start small by trying some of these desserts? Word of advice, you’re going to need a pretty strong stomach, especially for seafood – appearing in where they don’t belong. Scroll down to see what food is made of an ancient-looking creature, what food pukes on you and how to consume your own face. Bon appetite! You scream, I scream – in horror, if ever anyone offers us these odd desserts. These are nothing new but that doesn’t make them any less bizarre. 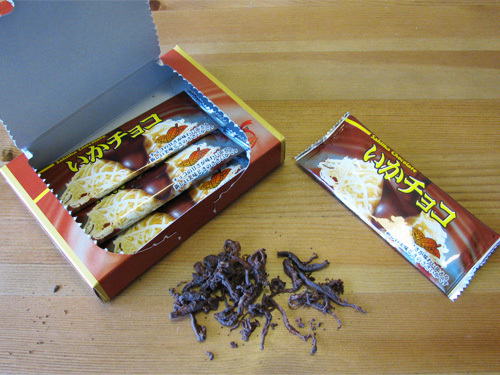 If you know what Basashi is, you probably won’t be reaching for one of these at the supermarket. 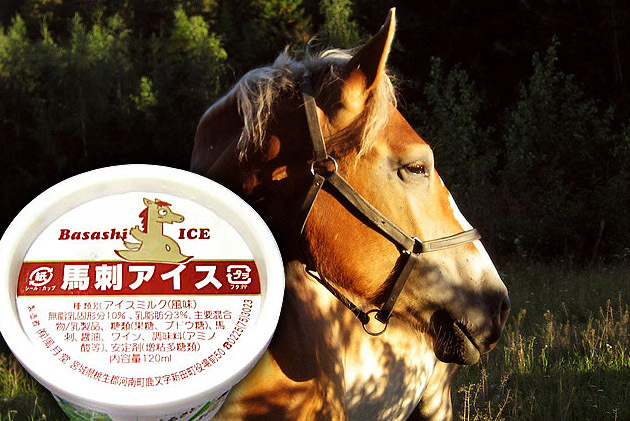 Basashi is sashimi made from raw horse meat, and only Japan would ever think what an ice cream needs for that extra kick is plenty of raw horse meat mixed into its creamy goodness. 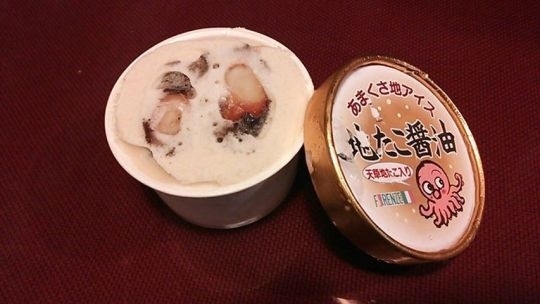 Then there’s octopus ice cream, where you literally get chunks of it in your icy treat. We thank you for takoyaki, Japan, but these are really pushing it. While this may sound even more appalling than the previous entry, we assure you it’s not. In fact it’s adorable, in a grotesque way. See, the “poop” is really just chocolate and the “vomit”, custard. Adorable! Can’t blame Japan for this one, they may be responsible for Gudetama, the lazy egg character, but this Gude goodness is all Hong Kong’s doing. Poke the chocolate bun right between its plump buns and squeeze to make it poop. The custard version just needs to be squeezed to push out the oozing fillings. Who has ever thought, “What I need in my bag of rice crackers are some crispy wasps”? Apparently, Japan. This country…only you can turn a simple treat into something straight out of everyone’s nightmare. Jinbachi Senbei, the one with wasps above, was introduced to the world circa 2007 (hey, Basashi and octopus ice cream too! Must be Japan going through some ultra-creative phase at the time). The second photo above, if it makes you run away screaming, you’re not alone. 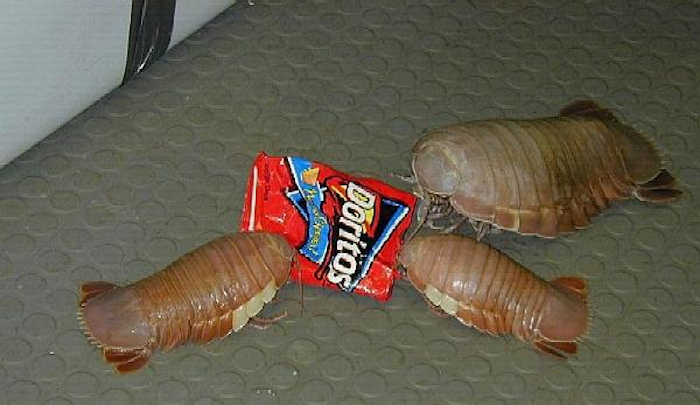 That’s a relatively newer variety – the cracker, not the cockroach-like abomination, which is actually related to shrimps and crabs but much more unfortunate-looking. Thanks, but no thanks, Japan. Some call this a deconstructed pumpkin pie, and with one bite, you’ll know why. Portuguese influence brings about this odd-looking but tasty dessert. A hollowed out pumpkin, filled with egg mixed with lightly sweetened milk, and then steamed, are what’s needed to make this Thai pumpkin custard. This custard-filled pumpkin isn’t so strange compared to the above but let’s calm you down before we continue with the bizarreness. Durians may be famous in Southeast Asian countries but it’s something that not everyone can stomach. Either you love it or you hate it, no in-between. This fried fruit may make durian lovers scream in joy but to durian haters, this is a travesty – they will have to be more careful when eating spring rolls because it just might be durian flesh wrapped in rice paper. Aww, Japan…you done it again. 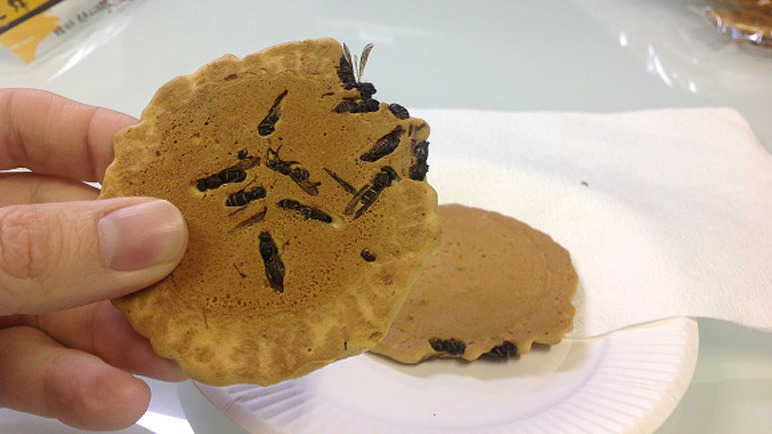 Looks like this country is the reigning champion of weird foods. Judging from entry 1 and 3 above, the only lesson Japan took away from combining dessert with seafood is “we should make more”. Here we have ika, or squid, dipped in chocolate. Yum? This may be more of an acquired taste. Even its visual presentation isn’t so easy on the eye, seeing that they come out of the box looking like something that only early birds catch in the morning. Would you like to drink your face? This may not be so odd for those who take tons of selfies per day. But this is one strange deal for those who avoid mirrors like they’re the opposite version of “Snow White’s” Evil Queen. Three years ago, coffee sellers started combining people’s love of coffee with their love of, well, themselves. 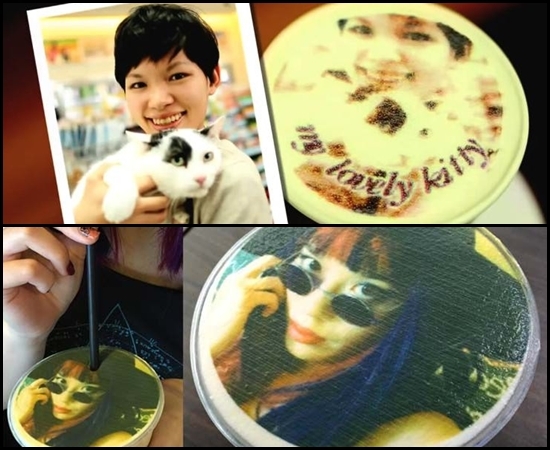 Taiwanese drinks company Let’s Coffee perfected the selfie coffee by using edible brown powder to print photos on the foam. Since then the brown printouts have evolved to more colourful and realistic selfies on coffees. A popular trend in countries such as Singapore, Malaysia and South Korea.